One of the goals for the Orlando Magic this offseason was to get rid of the few expensive and unnecessary contracts they still have on the roster. Next in line? 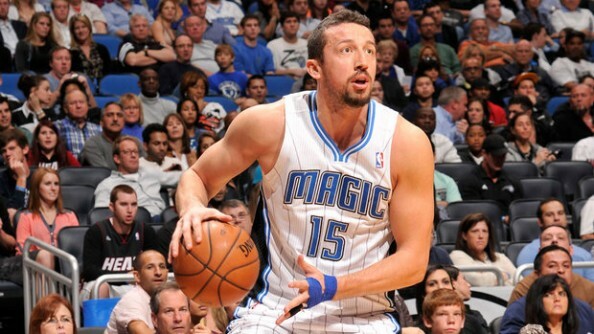 Hedo Turkoglu, who might have an offer from Turkey that might be too good to turn down. The second tenure for Turkoglu, one of the key players on the Orlando Magic when they made their run to the NBA finals in 2009, hasn’t been very successful. Injuries, banned substance suspension, and simply being left out by the team. Turkoglu played in only 11 games last season, averaging 2.9 points on 17.2 minutes a night. It was clear Turkoglu didn’t want to be there, while the Magic didn’t want him there, but his $12 million-a-season salary makes him unmovable. And yet the Magic have an out which can save them some money and make it easier for them to go on in their process of rebuilding. Turkoglu does make $12 million next season, but only $6 million are guarenteed, and even though they’ve yet to cut him, they’re quite likely to do so. Now, Turkoglu might be pushing for it to happen as well. According to reports in Turkey, Fenerbahce Ulker are willing to offer him $3.5 million a season, something no NBA team will give him once he’s released by the Magic. From one of the more unique small forwards in the NBA a few years ago, the moment he landed his big contract Trukoglu overnight became an overrated and vastly overpaid player, disappointing for the Suns, Raptors and the Magic upon his return. At 34, there might still be room for Turkoglu in the NBA. He’s an exceptionally smart player and very useful outside shooter, but physically it seems the game is a bit too much for him now. He might have a shot at getting a minimum deal from someone, but with the chances of him appearing on a contender very small, playing in Turkey for three times the money he’d make on a veteran’s minimum is probably the best option he has.